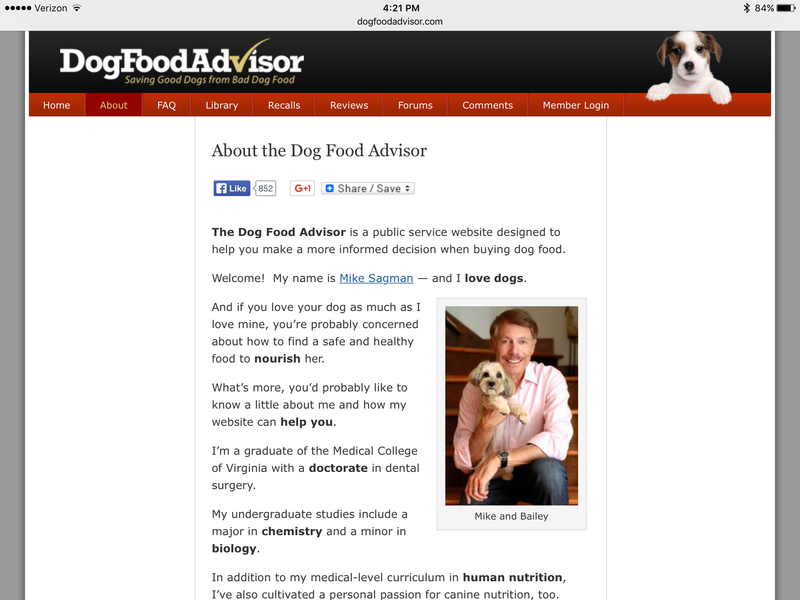 Today I want to share with you my favorite dog food review website-Dog Food Advisor. It’s so hard to know what to feed our furry buddies. With the help of the information on Dog Food Advisor, I chose a food that is rated above average, is affordable for our household budget, and most important, helps our three dogs thrive. The “About” page provides information about the founder and about the information you can find on the site. Here’s the page with the review of the food our three dogs eat. As you can see, the reviews are thorough and objective. You can sign up to be notified via email of any pet food or treat recalls in the United States. Most pet parents I know definitely want to know about any recalls. I signed up several years ago and have never had a problem with too many or unwanted emails. I’ve only been emailed about recalls, no marketing or s*%m. There’s even a user forum so you can interact with other pet parents who are interested in pet nutrition. Check out the site for yourself. I think you will find it a useful resource to help you take the best care possible of your furry best friend. What’s your favorite pet nutrition website? Hello and glad to see you found a diet that works. I do a lot of reading and research having worked in the pet industry for so long. We ‘lub’ Dog Food Advisor! Momma is on it a lot and studies all of da goodies dat she gives us! What a great site. I really should check it out more often!!! I always think about it when I get an email about a recall. Interesting site, thanks for sharing it. I will definitely check this out! What a good resource- thanks for sharing. The website sounds really great! I wonder if there is a similar website out there for cat food. I’ll have to look around and see. It seems like there would be a similar one for cats. Let me know if you find one. Thanks for stopping by! Definitely one of my favorite sites as well! Thanks so much for the reco’ I’ll check it out! It’s hard to stay on top of all the different pet foods out there & pick the best ones. I’m not familiar with this site, but will check it out. 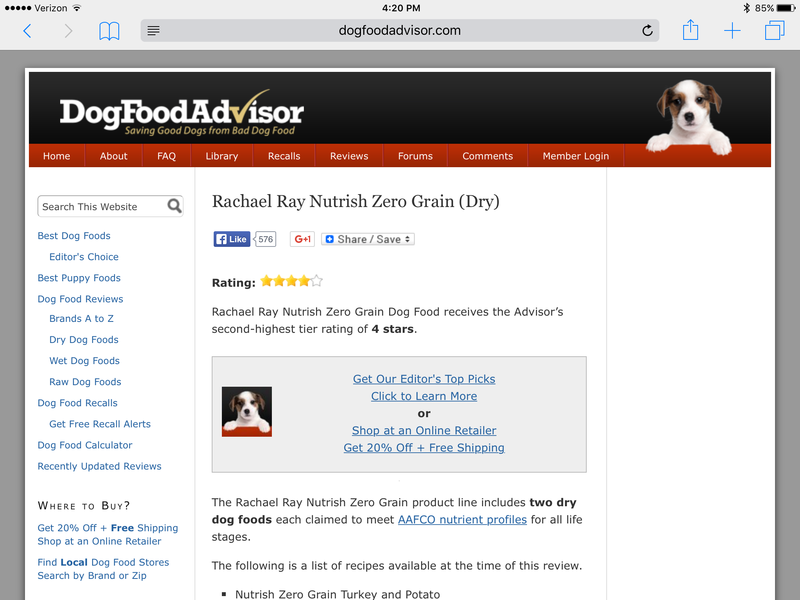 Dog Food Advisor is useful to look up info. Now that we feed raw, I don’t really use it but I used to look up kibble stats. It’s all about finding what works best for each dog. So glad raw works well for you! That is one of my fav sites as well. The Dog Food Advisor is a great source for information. I recently discovered this site and it is a great resource.